The most interesting from north to south are Grotte Scurati-Scurati Caves, including the famous Grotta Mangiapane which takes its name from the family which lived there in tiny houses from 1819. 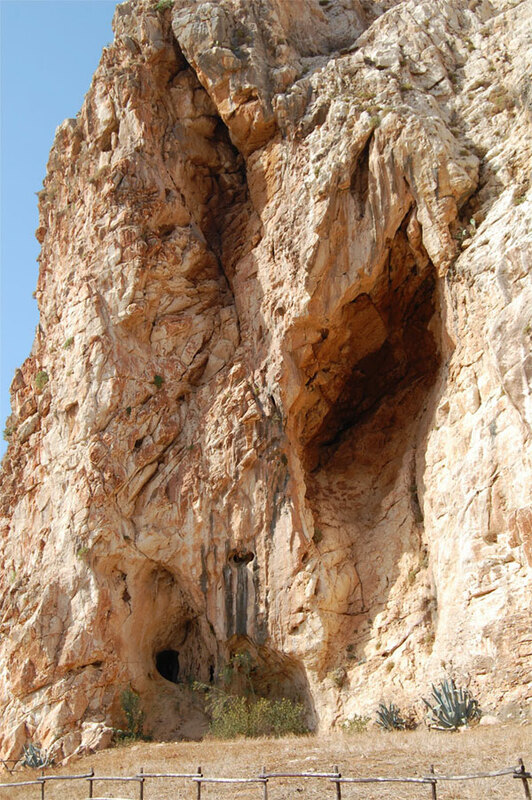 About 60 metres high and 70 deep, it was used by man from Upper Palaeolithic times, as shown by the relics found inside. The cave and the space in front of it make a suggestive natural frame for two events of great ethnographical and anthropological interest: il Presepe vivente - the Living Nativity Scene which takes place at Christmas time and the Museo vivente - Living museum, in summer. Domestic and working scenes, decorated with original furnishings recreate life in an early twentieth century country village while men and women, using tools, demonstrate trades and activities of olden times.